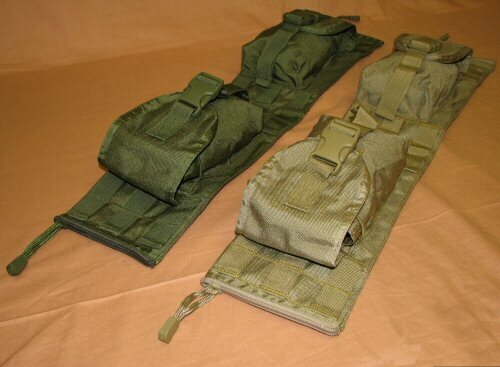 The Bulle MOLLE Kit and Ammo Belt Pack is designed to offer a compact, low profile method of carrying a small amount of supplies on the back or sides of the waist. It can be worn when mounted onto an existing duty belt up to 80cm wide. 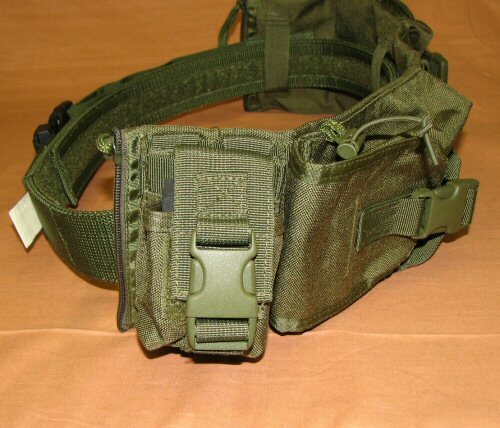 The belt pack has two horizontal pouches, each of which will hold 3 M4 or 5.56 magazines and can be closed with both silenceable velcro and an adjustable quick release buckle. The top of each pocket is additionally provided with an elastic shock cord and adjustable toggle to help bind contents into place. 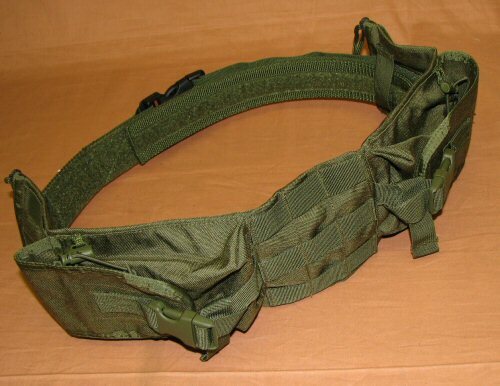 MOLLE webbing is provided on the rest of the body of the belt pack to allow for a variety of small utility pouches, such as field dressing, rifle cleaning kt, extra ammunition or small radio and GPS pouches to be fitted as required. The belt pack is in the shape of a tube which is closed at either end with a zipper. 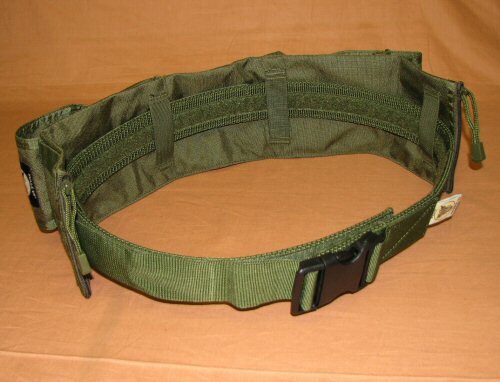 This can hold survival essentials and clothing accessories such as paracord, a lightweight rain jacket, spare hats and gloves or camouflage kit. When worn, the belt pack occupies only a portion of the waist area, whether on the front, back or sides to allow for easier movement where required. For snipers, its low profile allows a ghillie top to be worn over the assembly without disrupting the camouflage effect. 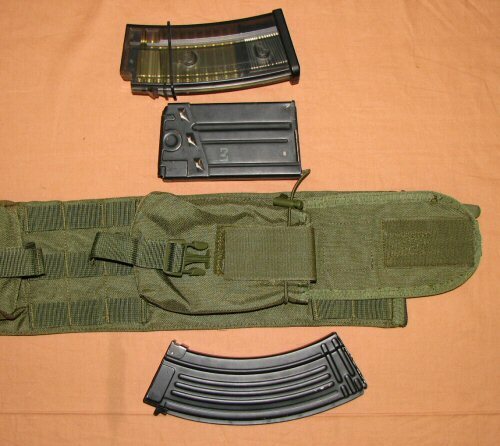 The kit and ammo belt pack can also be strung on a shoulder strap or sling and used as a grab bag. The pouch is made of 1000D Cordura and all plastic furniture is made by Duraflex for military applications. Price is for one belt pack only. Accessories, additional pouches and belts shown in pictures are for illustration purposes and are not included in the price. Angled view of left side of KABP. Angled view of right side of KABP. 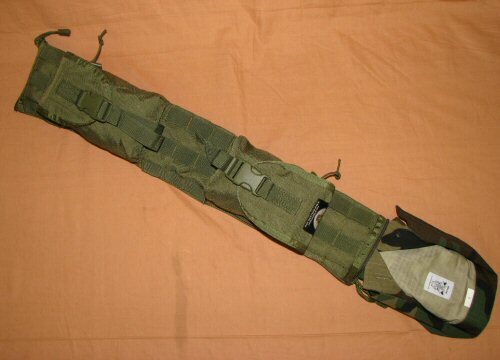 MOLLE webbing is provided towards the front of the KABP for attaching an extra magazine pouch or small utility pouch. Detailed view of the right hand side pocket opened. This shows the silencable velcro and the elastic shock cord with toggle that adjusts to bind contents down. Detailed view of some of the types of magazines that can fit into the pockets. A view of the KABP with a woodland shirt partly rolled and stuffed into the tube. The roll can be used for carrying a poncho, lightweight jacket, spare rope or string and other supplies. The rear of the KABP, shown here with a Bulle duty belt threaded through. 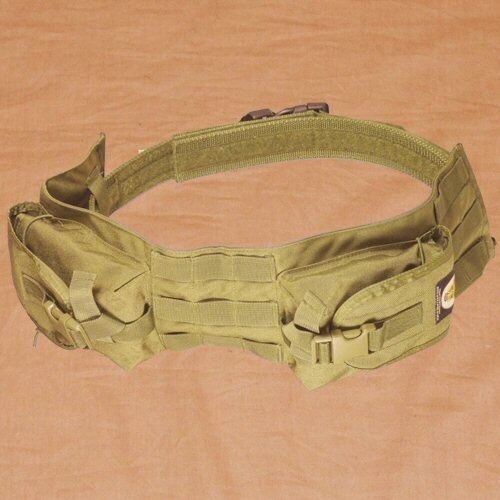 If this is worn on its own, a pair of straps from the Bulle tactical shoulder harness can also be threaded through the duty belt, helping to hold the KABP in place on the back or on the side of the body. Please note, duty belt is not included with the KABP. The duty belt, closed, with KABP on the back. Please note, the duty belt is not included with the KABP. A closer view of the KABP from the rear, as mounted on a duty belt. 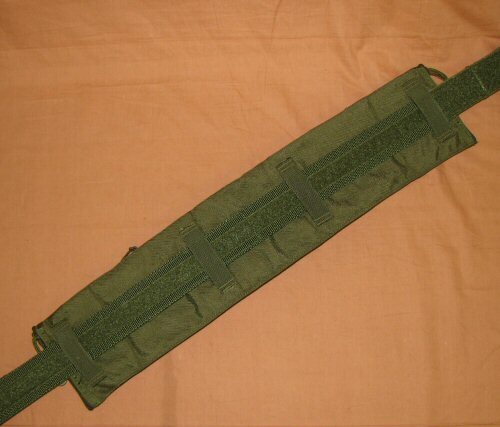 Three MOLLE webbing straps are also provided on the rear to take a variety of different kinds of pouch. Please note, belt is not included with the KABP. 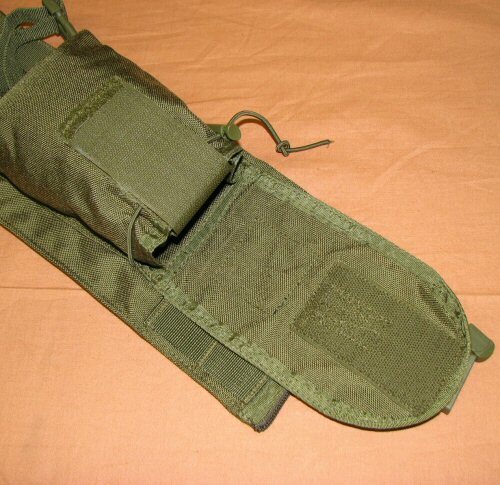 A close-up view of one possible use for the MOLLE straps towards the front of each pocket. 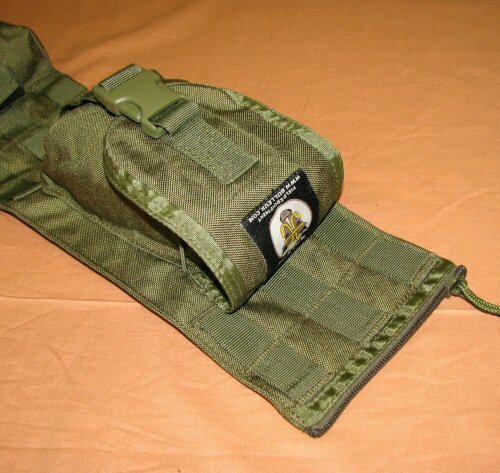 This is a frag grenade pouch. Frag grenade pouch and duty belt sold separately.